The evening of August 6 was a night of elegance and sophistication as the ME Bank Accommodation Industry Awards presentation, hosted by Deborah Kennedy, celebrated the outstanding levels of excellence and high standards upheld by the Western Australian Accommodation Industry. The celebrations were set against a delicate backdrop of style, grace and culinary brilliance. The Grand Ballroom of Burswood Entertainment Complex was transformed into an Italian experience, with the long tables draped with white linen and adorned with ivy against the gold wicker chairs. Gold frames, lounge suits and classical furniture adorned the after-bar area, where the guests had access to an array of Italian inspired cocktails. Guests were entertained by Australia's most celebrated singers including an opening opera number from Jay Weston, a passionate and dynamic performance from Mia Milan, a magical treat from Silver Wand winner Xavier Tapas and contemporary soul band Soul Empire to finish the night on the dancefloor. Guests indulged in an exquisite 6 course food journey prepared by Burswood Entertainment Complex Italian Chef de Cuisine at Mondo Mio Giampaolo Maffini. The menu was specifically designed to excite the palate and showcase the culinary brilliance and high standards that the Accommodation industry represents. 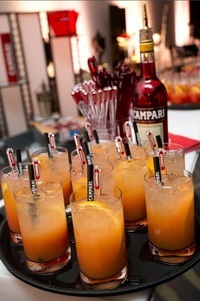 A splendid array of premium Italian style beverages was also on offer including beer, sparkling, white and red wine. In a night recognising winners and finalists, the prestigious Accommodation Industry Hall of Fame Award was presented to Wayne Carroll. AHA(WA) Accommodation Division President Mr Grant Raubenheimer and Hon Dr Kim Hames MLA, Deputy Premier and Minister for Health & Tourism, presented the award to Wayne and thanked him for his ongoing dedication to the industry. 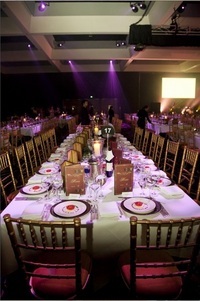 With over 600 guests attending this year's event and a long list of dignitaries, the 2012 AHA and Peroni Accommodation Hotel Gala Ball and the presentation of the ME Bank WA Accommodation Industry Awards was once again a showpiece event on Perth's social calendar. The AHA would like to thank all guests for their attendance and look forward to welcoming everyone back again next year.